At Alario Bros. Marine Supplies, Inc., we have the best selection of cutless bearings for your commercial fishing needs! 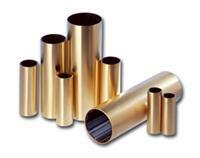 Brass bearings are an essential tool that is needed for any type of vessel you have. When choosing the correct brass bearings, you have to know what size you need. We feature many different sizes of cutless bearings, as well as many models. Currently, our selections include Able Johnson, Acid Johnson, Apex, Back, and Bade to name a few. Our cutless bearings are designed to keep your boat afloat. They are engineered with the highest quality of brass available. Each bearing is designed with top notch rubber lining and grooves that extend to the length of the shell. You want to have that peace of mind with all of your commercial fishing supplies. With their various sizes and models available, these brass bearings are the perfect devices you need for your boat. Shop now to see all of our cutless bearings and other commercial fishing supplies!